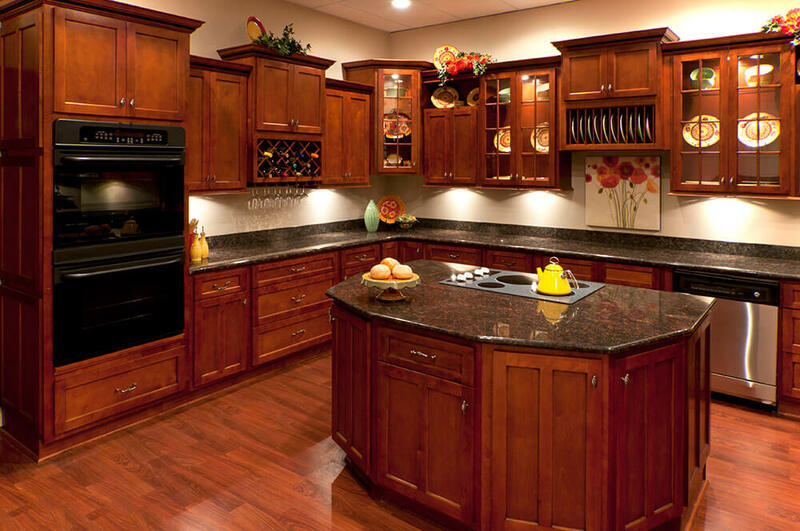 The Cherry Shaker line offers the two very popular options rolled into one cabinet. First ,they are a shaker style so they will fit into any decor. Second, they are a warm Cherry tone which provides a sense of class and elegance to your home. They offer partial overlay doors (meaning some of the face frame will be visible)and come standard with soft close full extension drawer glides!